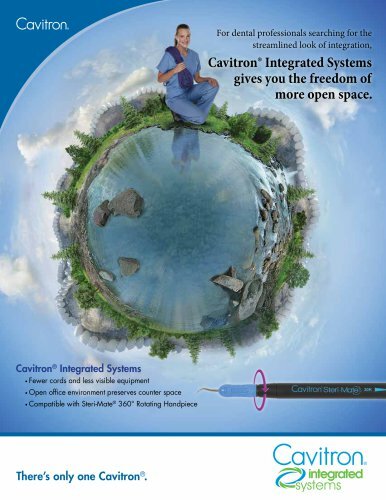 Catalogs > A-dec > Cavitron® Integrated Systems gives you the freedom of more open space. For dental professionals searching for the streamlined look of integration, Cavitron® Integrated Systems gives you the freedom of more open space. Cavitnon Steri-Mate- Cavitron® Integrated Systems • Fewer cords and less visible equipment • Open office environment preserves counter space • Compatible with Steri-Mate® 360° Rotating Handpiece There's only one Cavitron®.